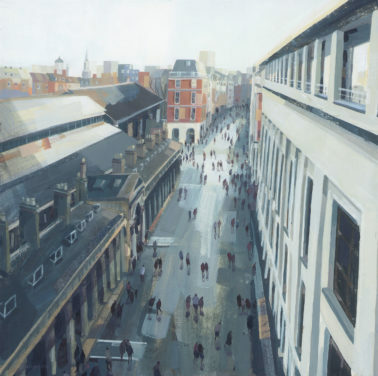 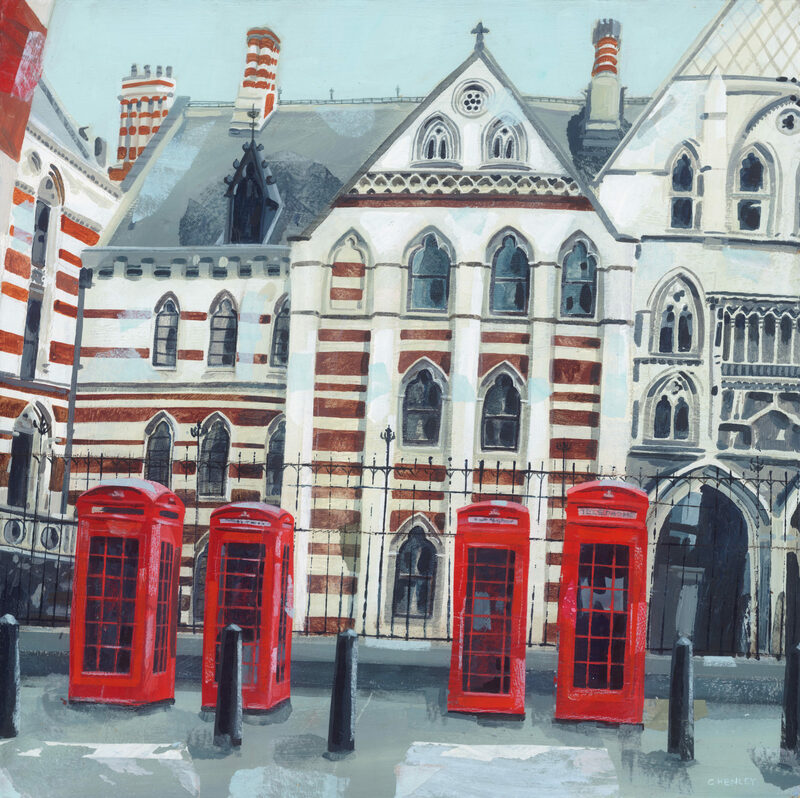 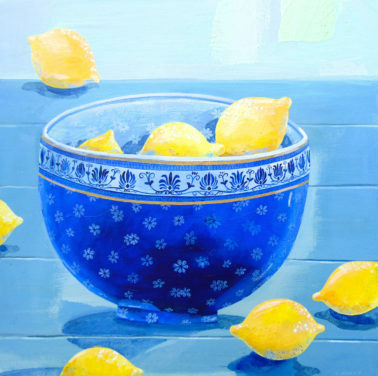 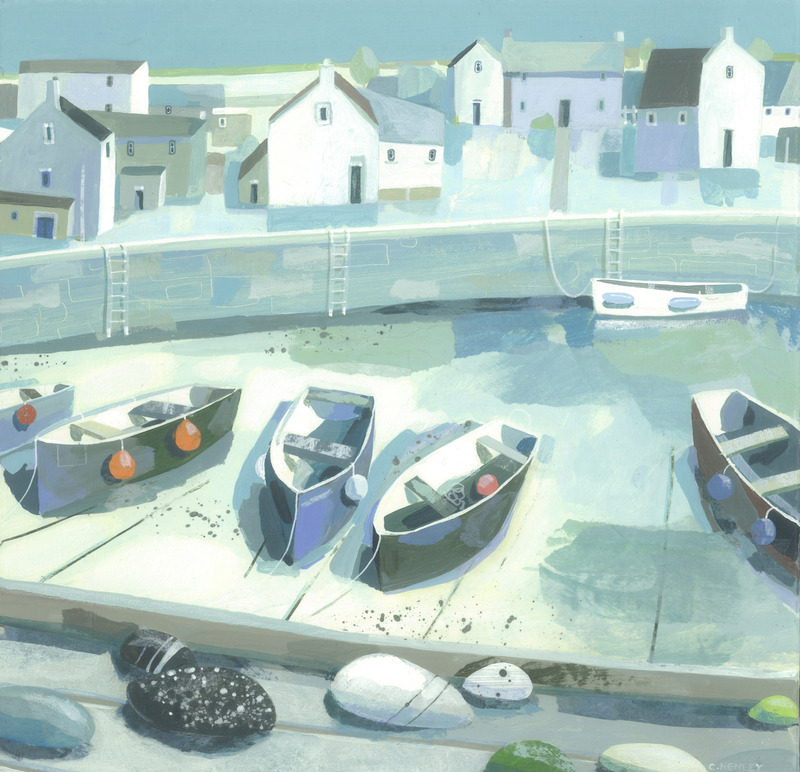 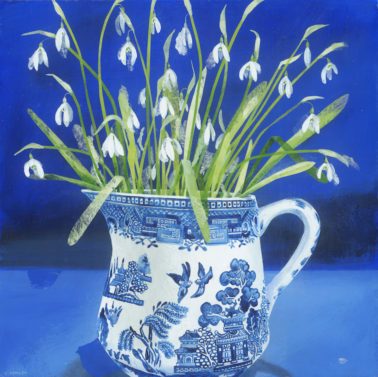 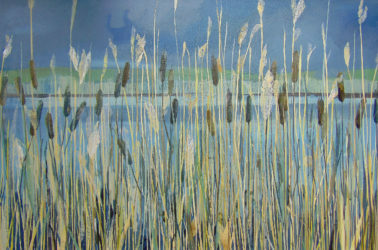 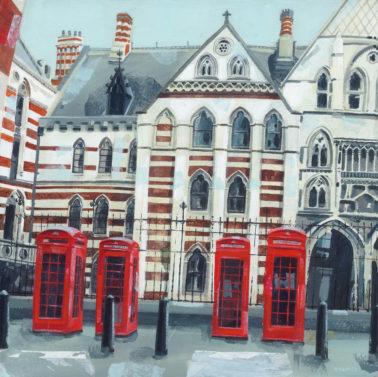 Claire Henley is enjoying a eclectic career as a professional artist and illustrator. She studied graphic design in London before beginning work as a designer for a Midlands textile firm. 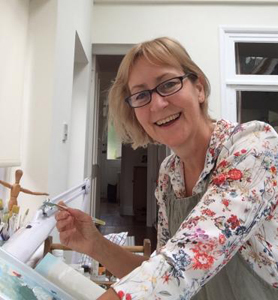 Wanting a more freelance life, Claire started designing in a multitude of arenas including stationery, giftware and toy manufacturing before later becoming an illustrator of books. She is responsible for the illustration (and sometimes writing) of over a hundred children’s books to date and continues to work in this field. 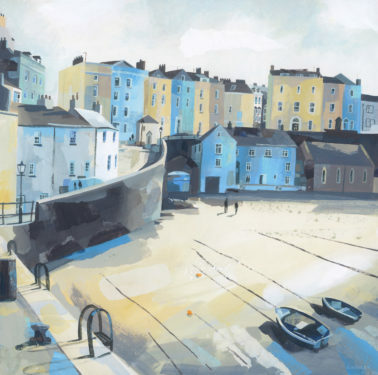 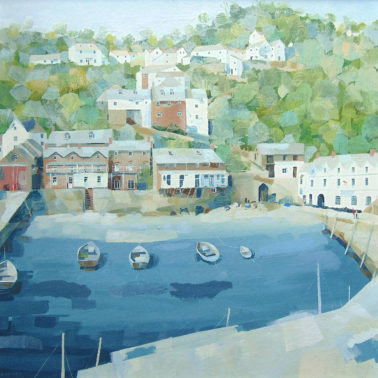 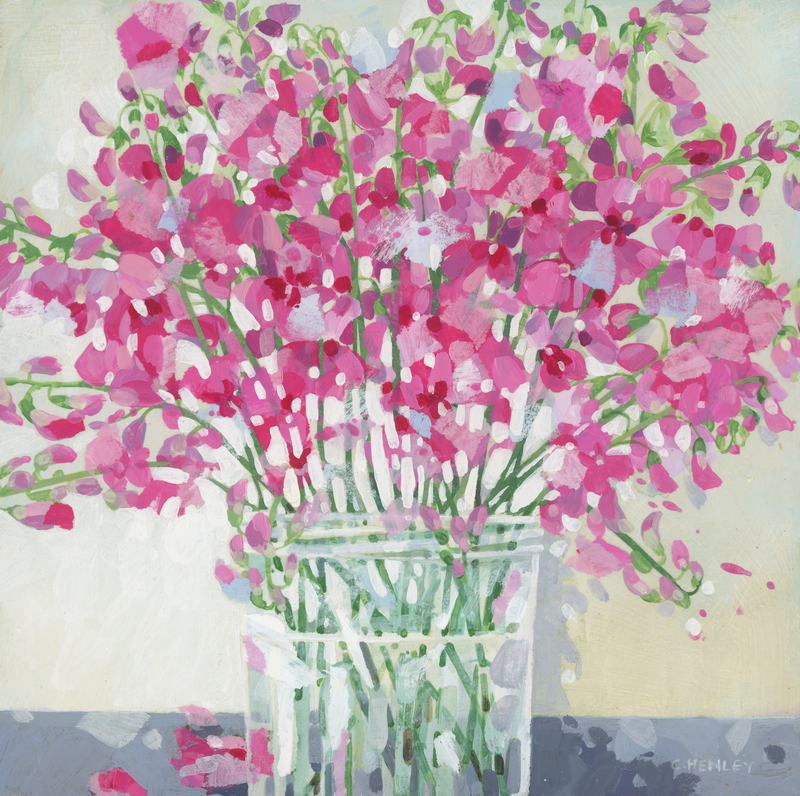 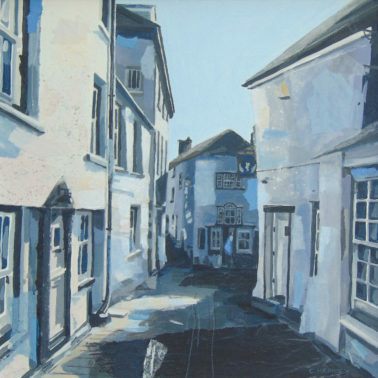 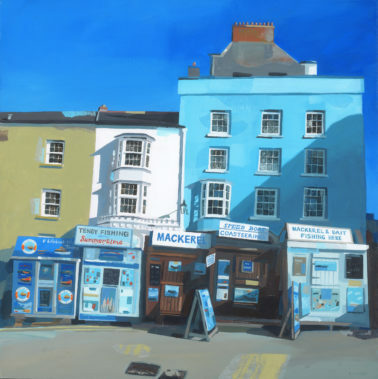 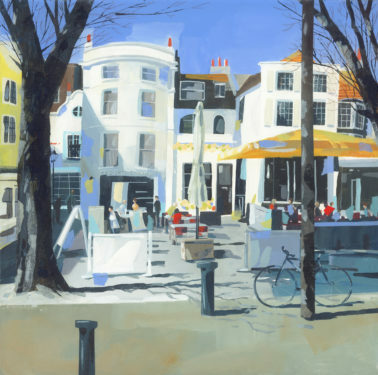 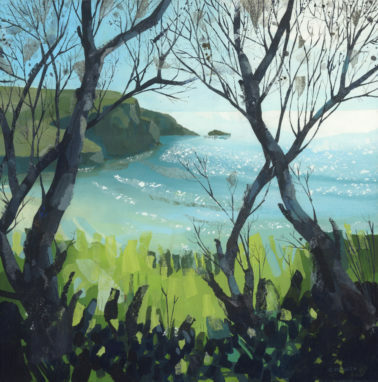 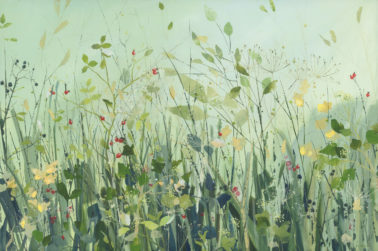 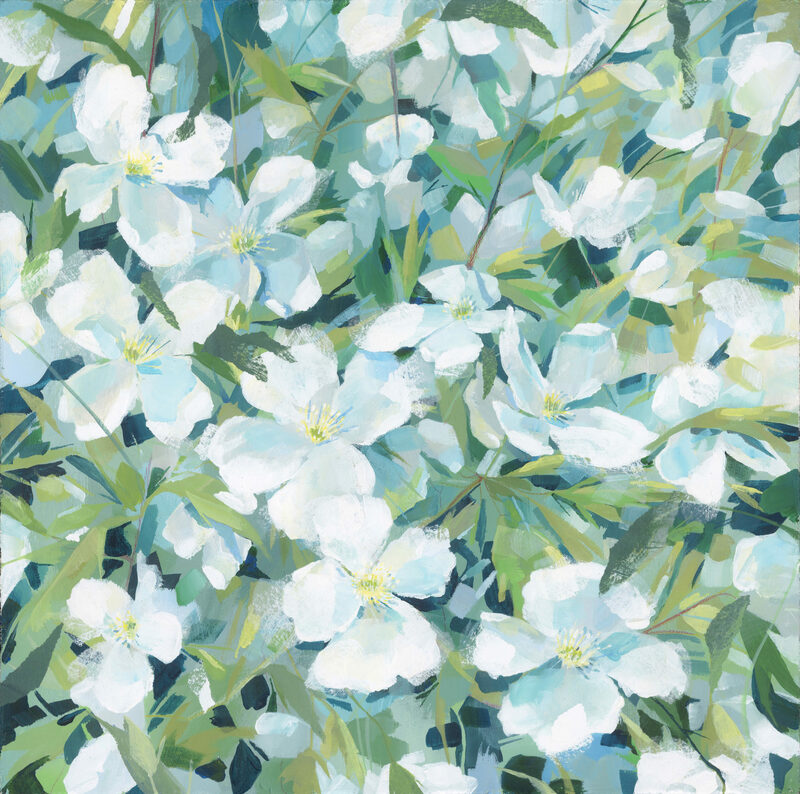 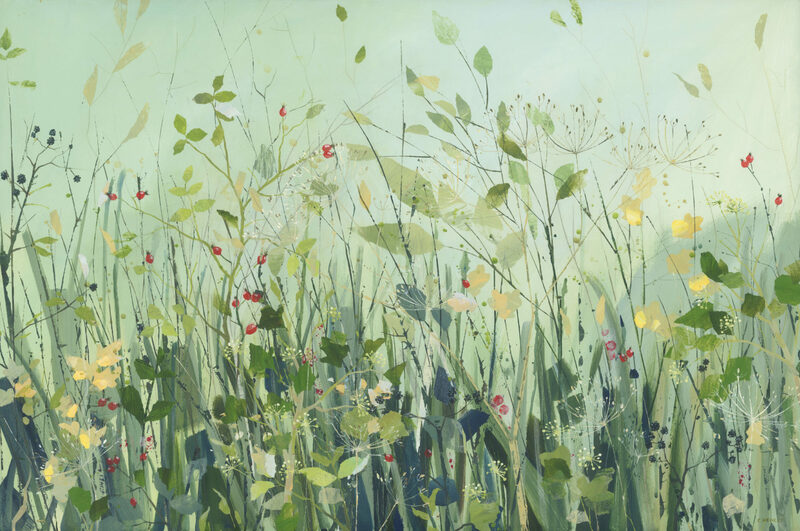 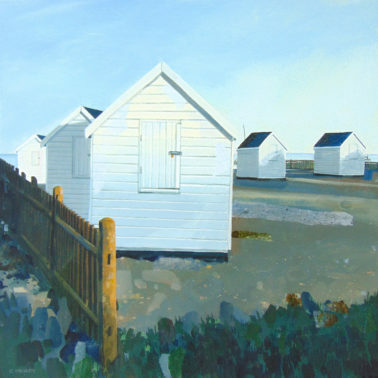 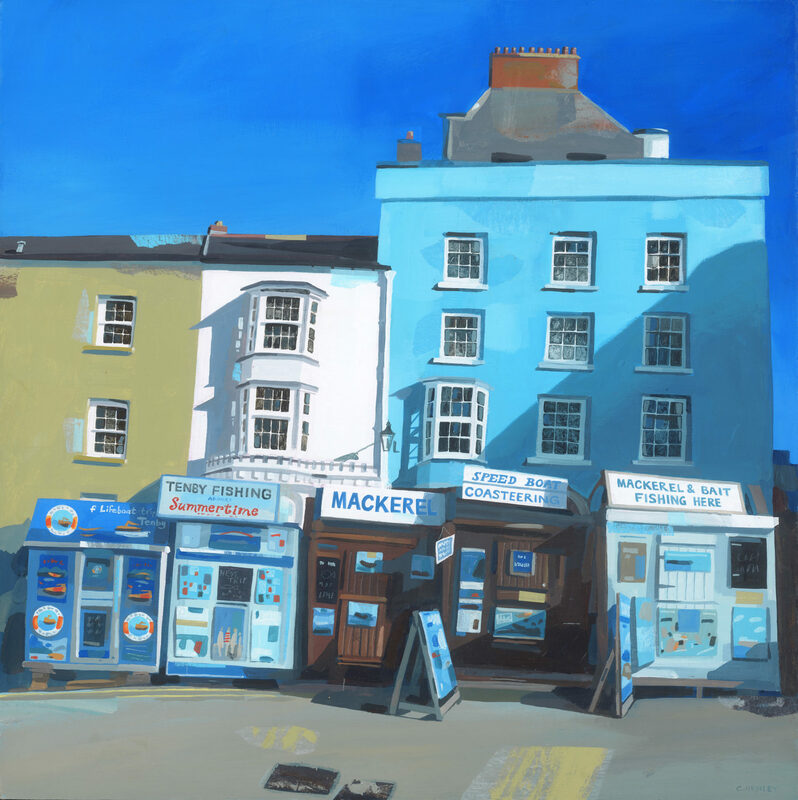 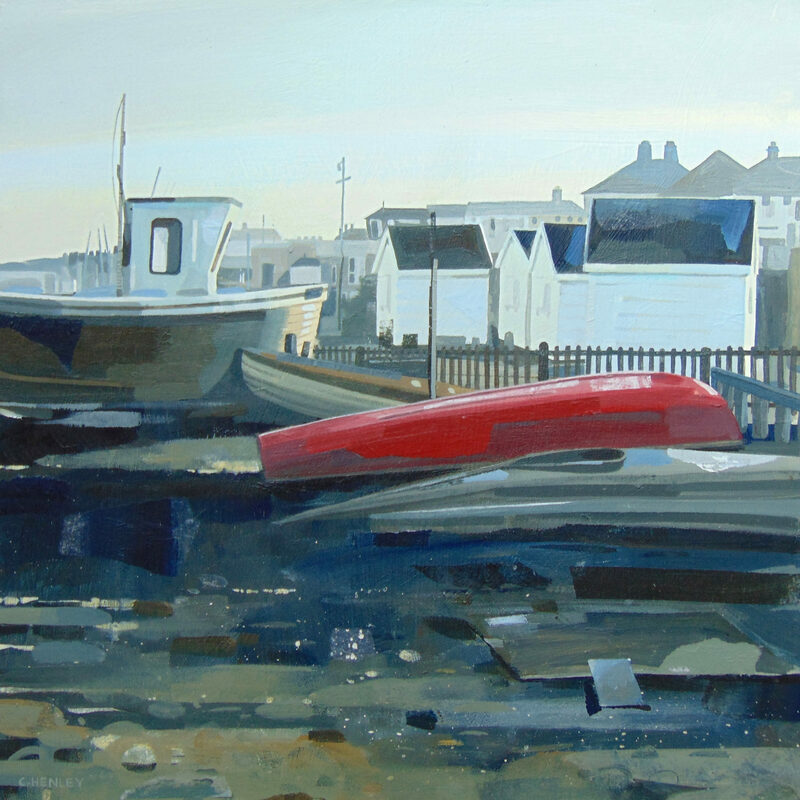 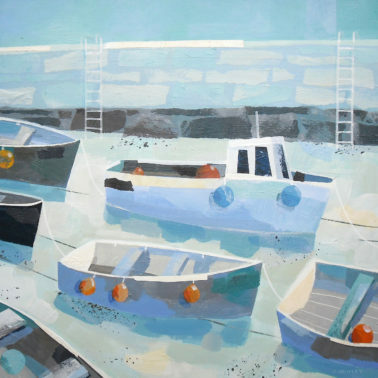 Yearning to work on a larger scale, Claire started painting professionally and in the last several years, has produced a series of canvases inspired by her love for the landscape and coastal areas around Britain as well as popular still-life work. 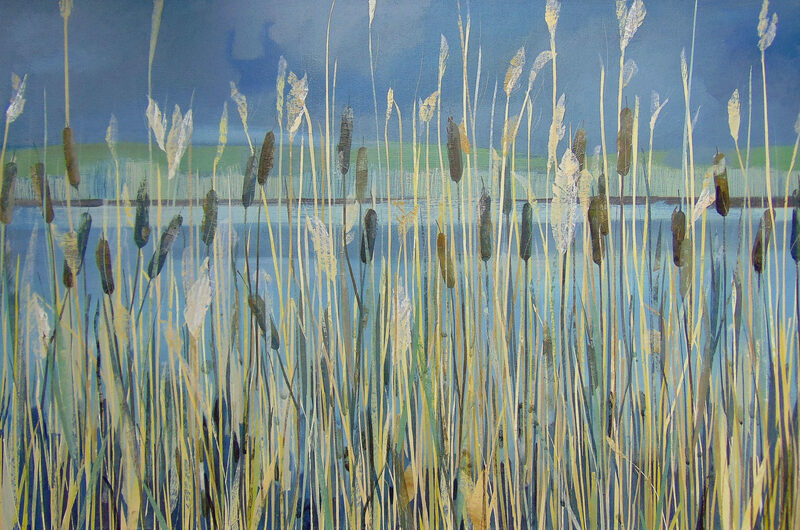 She loves experimenting with collages, creating a variety of textures and tones, and enjoys using acrylic paints because of their versatility and depth of colour.